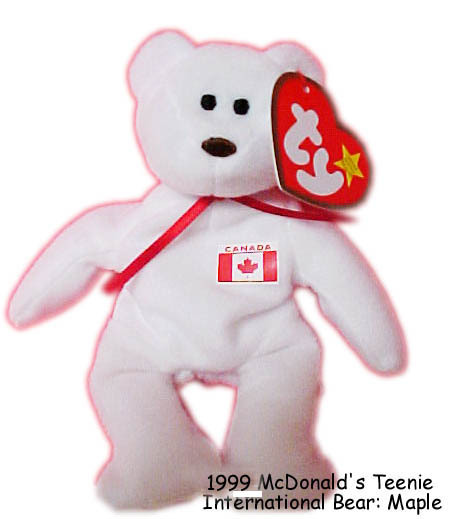 McDonald's Teenie Beanies from 1999 For a third year in a row Teenie Beanies were offered at McDonalds. 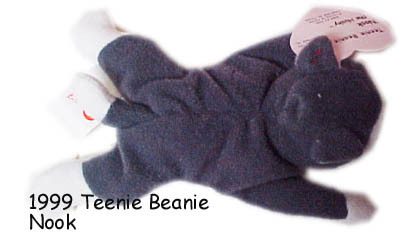 This was a year for the true Ty collectors to get their beanies in peace! 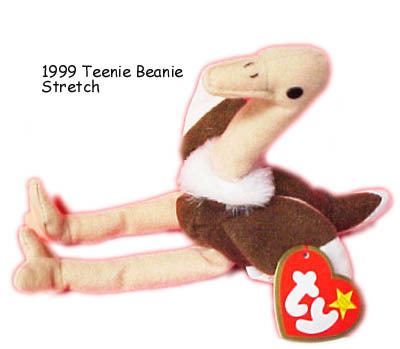 The mad craze for Beanies in 1999 was far below what it was the previous year. 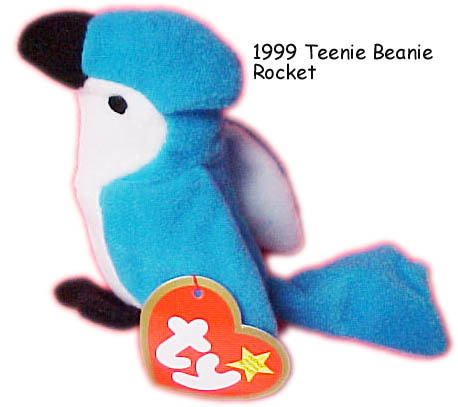 Almost all of this years Teenies were easy to obtain. 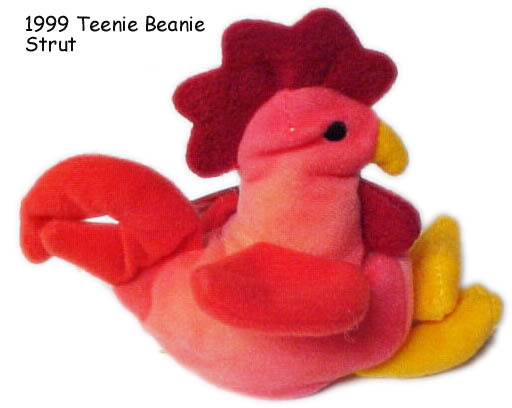 Some also think they were less popular this year at McDonalds due to the Beanies they picked to make into Teenies not being as cute as the ones they could have picked. 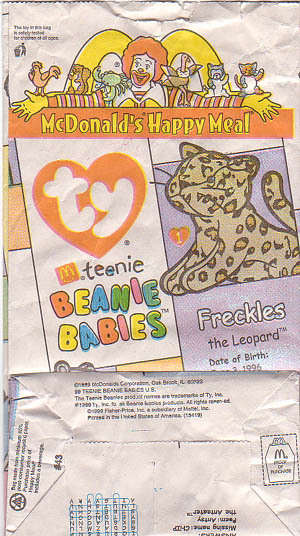 1999 Happy Meal Bags! 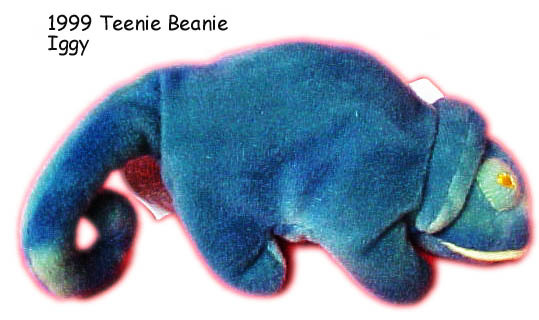 Click for larger Image! 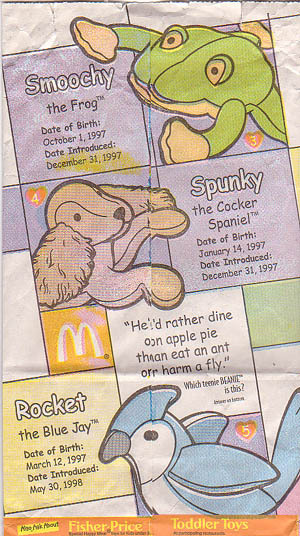 This year was also the first year more than one promo at McDonalds was done. 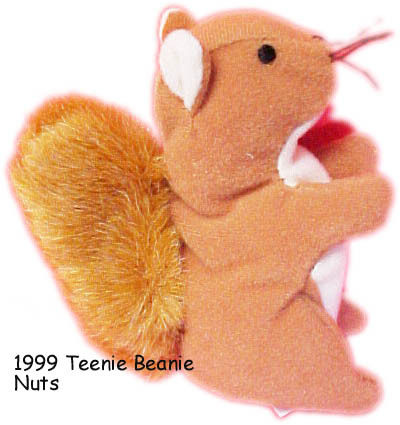 The first set that was released from May 21, 1 999 to June 3, 1999 were the typical bagged beanies, there were 12 of these. 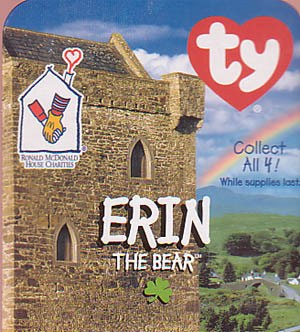 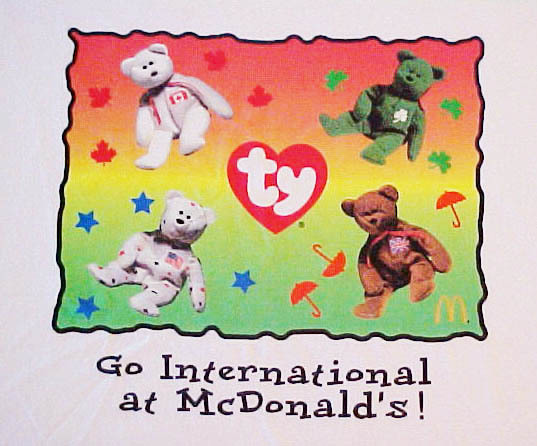 Later following those on June 3, 1999 Ty and McDonald's introduced the "International Bears Collection". 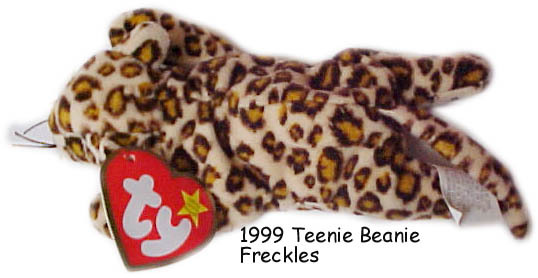 These would be available until June 17,1999. 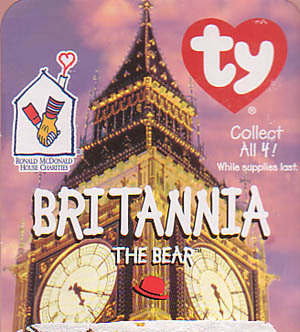 The "International Bears Collection" was not released in bags with Happy Meals but instead in a small box backed in cardboard. 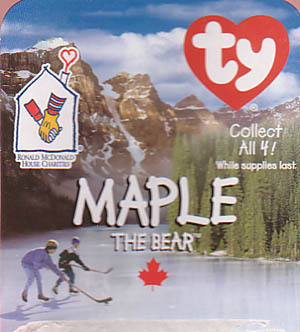 These were sold for $2.49US or $2.99CAN each with the purchase of any regularly priced menu item. 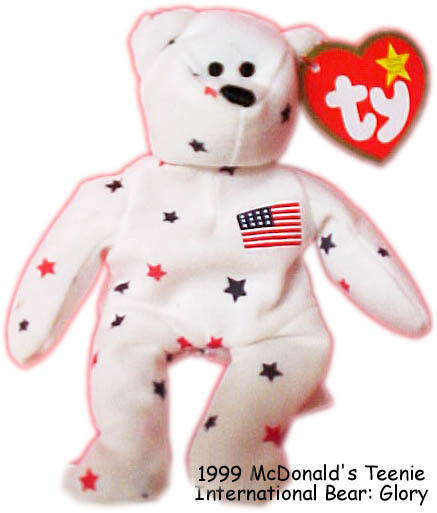 Customers were limited to 5-10 of these per visit depending on the McDonald's. 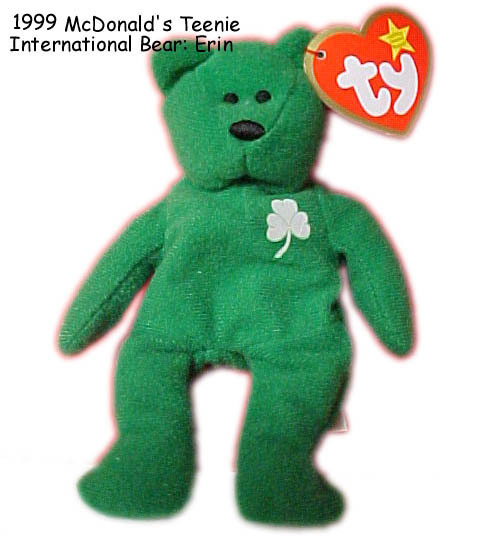 Some of the promotional items to come out with the "International Bears Collection," were paper placemats that showed each of the bears and a snippet of information on where the money raised by the sale of the bears would go. 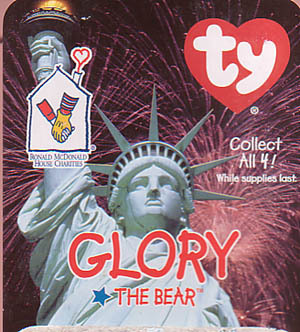 The money was going to the Ronald McDonald Children's Charities. 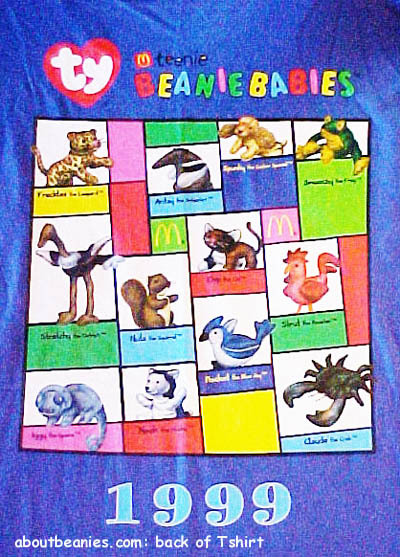 Pins, T-Shirts, Baseball caps and Polo Shirts were also offered as an option for McDonald's employees. 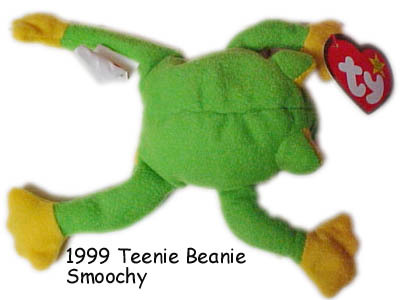 These pins were given out on June 3, 1999. 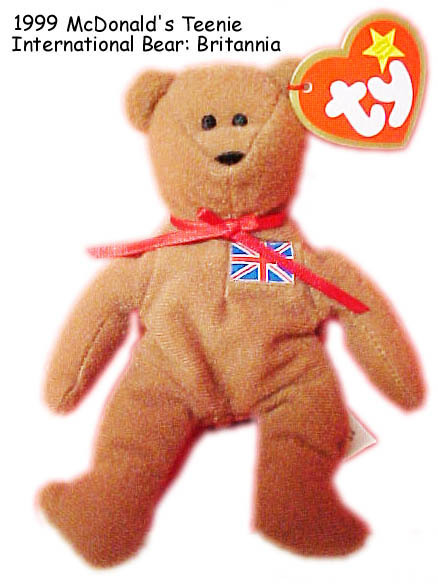 Germany also gave out Lapel Pins this year! 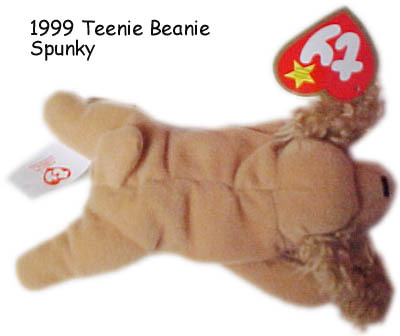 customer experience during the Teenie Beanie Babies) promotion! 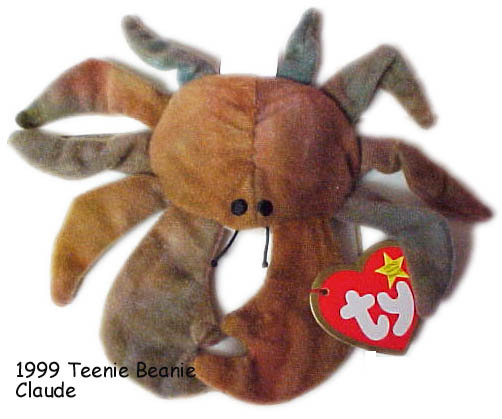 Ty Teenie Beanie Babies Return in May McDonalds Customer Favorite is Back!